Whether you’re new to hiking with your baby or toddler, or you’re looking for a new trail to explore, the Hike it Baby community is a valuable resource for finding family hiking trails around the country. 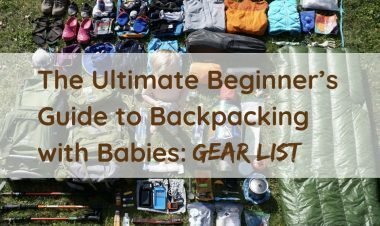 In this article, we share three unique hikes in California to explore with babies and young children. Hiking with young children (under five years old) is different from hiking with school-age children. 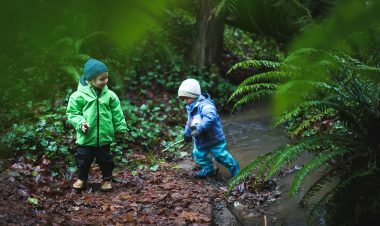 These three hikes in California offer families of young children beautiful and unique trails to explore while considering the special ways young children hike, wander, dawdle and explore. Hidden Valley Trail is an easy 1-mile loop located in Joshua Tree National Park. The landscape looks like it’s straight out of Dr. Seuss between the spiky Joshua Trees, cholla cacti and the giant granite boulders. The terrain is flat and open, allowing children to run free without concern. The main trails, like many National Parks, are well marked and have nice plaques along the way explaining animals, plants and petroglyphs. 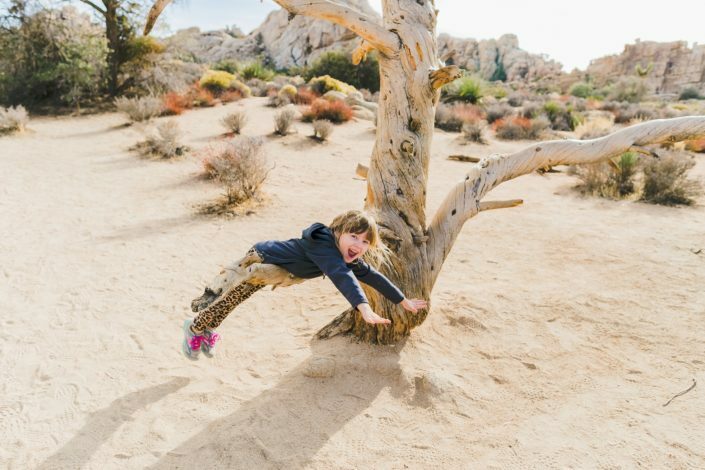 Joshua Tree is a popular climbing spot, so toddlers and little kids will love how easily they can climb the granite boulders. Keep an eye out for spiky things, and make sure you point them out to little ones. There are a few cacti that will reach out and grab passersby, so steer your little ones away from these. It can also get pretty hot, so avoid hiking in the summer. Make sure you bring along water, sunscreen and a hat. Make an adventure of it by either camping inside or outside the park and stargaze from your tent. 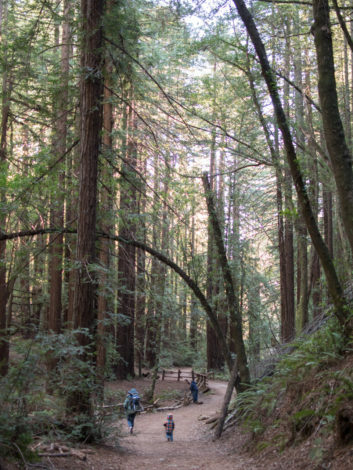 The Redwood Grove Loop Trail is within Henry Cowell Redwoods State Park. While there are longer hikes, the Redwood Loop is easy at less than a mile. The ground is also soft, which makes this a great place to let your new little walker get their hiking legs on. 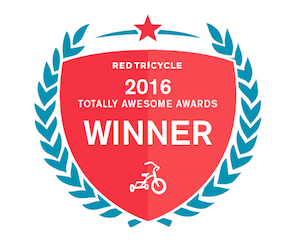 The nearly flat and wide trail takes you through a wonderful grove of huge picture-perfect redwoods. The tallest tree in the park is around 1,500 years old, stands 277 feet tall, and is about 16 feet wide! These skyscraping redwoods inspired some of California’s earliest redwood preservation efforts. Other activities include playing in the river that runs through the park, which is a special treat, especially on a hot summer day. And toddlers love the train that goes chugging by overhead. Wave to the train riders and then ride the train yourself later. This is a popular park. The parking lot is big, but it can get full on summer weekends. Bring a swimsuit and water shoes for the kiddos if you plan to swim. But note that the river gets wider the farther downstream you go. Look on the Map for Garden of Eden, Cable Car Beach, and Big Rock Hole. You can take another train over the hill and down to the beach into Santa Cruz, but you’ll want to purchase your tickets ahead of time. Stream Trail is located within Redwood Regional Park. The trail is an estimate 4 miles roundtrip. A redwood haven nestled in downtown Oakland, the trail makes for a relaxing escape with your family from the busy city life. This is a short and easy trail for families with children. The trail follows Redwood Creek over leveled ground carpeted with soft needles and leaves. Most of the trail is paved and wide with mild grades, which makes it great for your kids to run ahead without the worry of bumping into other hikers on the trail. The trail is mostly shaded which makes it especially comfortable if you’re hiking during a hot California day. There is a $5 seasonal parking fee per vehicle to access the park at the Redwood Gate on weekends and holidays between April and October. However, there are other access gates and staging areas that don’t require parking fees. Parking is free during the week. You can park and access this loop hike from the Skyline staging area, a small parking lot with free parking and no permit required. If your kids need to use the bathroom before hitting the trail, there are bathroom facilities located near the start of the trail. The park has excellent picnic areas so pack a picnic and sit and relax while enjoying the view of the redwoods with your little ones. If your kids need a rest from hiking, but still want to have some fun, there is a playground towards the beginning of the trail. Contributions by Shanti Hodges and Ryan Idryo. Photos courtesy of Arika Bauer and Ryan Idryo. 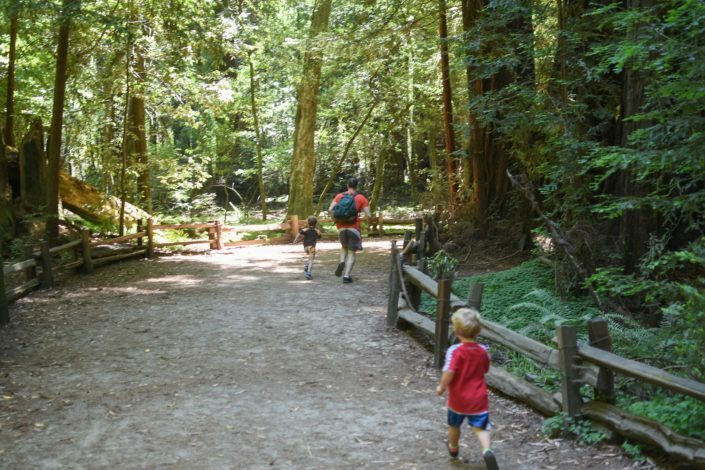 WHAT ARE YOUR FAVORITE HIKES IN CALIFORNIA FOR FAMILIES WITH BABIES, TODDLERS AND YOUNG CHILDREN? LEAVE A COMMENT BELOW! Trail Tips California, California hiking trails, Hiking with Kids, state trail series. permalink.